Themesparx are global theming solution experts to the entertainment and leisure industries, from amusement parks and visitor attractions to bespoke exhibition stands and themed retail outlets. Clients include Chessington World of Adventures™ and Legoland Windsor Resort™. Their teams of experts deliver the best possible results, striving to delight and dazzle! Themesparx have extensive industry experience and an excellent track record, built by working closely with our clients of all shapes and sizes over many years. Themesparx approach each project with the same degree of professionalism, care and high standards, whether that’s a small commission or a major project, right the way through the delivery process, from creative design to health and safety on site. As part of a Continuous Improvement Programme, Themesparx needed to bring new levels of resource optimisation and project planning clarity to their workload. 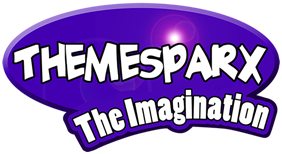 Themesparx reviewed and trialed several applications and found Hydra was by far the most suitable. Sharon explained “Hydra simply offers all the functionality we need now, with room for further expansion in future as the business grows to the next level of operational sophistication. “Evidence and Change are Resellers for Hydra, providing a one stop shop software, implementation and consulting experience. With 20 years’ experience providing Project, Programme and Resource management solutions to large and international customers, Colin Winnett of Evidence and Change is now bringing the benefits of Hydra to the SME market. Says Sharon “Colin quickly understood our existing business processes and gave valuable practical advice and hands-on support on how we could quickly and painlessly hone and improve these and integrate them with our Hydra deployment. Visibility of likely future resource shortages allows us to reduce and prioritise risk and head-off potential issues before they arise. Hydra makes planning projects easy, and monitoring progress, adjusting plans and seeing the effects of those adjustments immediately saves us time, money, and frustration. We’re already seeing how Hydra helps us to improve process adoption across our business, making operations more transparent and highlighting areas where we need to take action. By implementing Hydra on internal hardware and MS SQL Server Express costs were kept to a minimum. Initial implementation costs are estimated to have been recovered through cost savings and efficiency improvements within just one month.